DAVID LE/Staff photo. 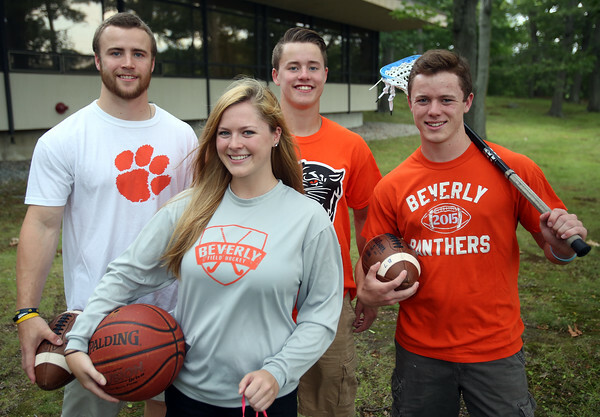 Brendan, a junior at Holy Cross, Mary Cate, a sophomore at UNH, Kevin, a junior at Beverly High School, and Bryan Flaherty, a freshman at UMass Amherst, have made their impact on gridiron, hardwood, and lacrosse field for the Panthers. 7/30/15.